Mrs. Joanne Sharp, 73, of Elkhart, passed away peacefully at her home following an extended illness on Sunday, Nov. 4, 2018 at 6:20 am. She was born in Lake Co., TN on Apr. 17, 1945 to the late Grant and Frances (Cartwright) Russell and married Henry L. Sharp in Trenton, TN on Nov. 20, 1961. He survives at home after nearly 58 wonderful years together. Also surviving are sons Terence, Vincent and Efrem Sharp, siblings Ray Russell and Maggie Banks; 13 grandchildren and 23 great grandchildren. 8 siblings precede her in death, as well as her grandson, Justin Sharp. 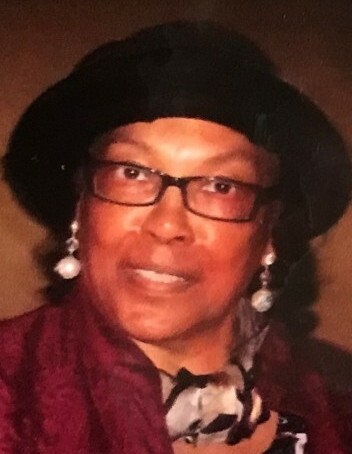 Joanne’s life will be celebrated with a memorial service at Pilgrim Rest Missionary Baptist Church, 802 W. Garfield, Elkhart, on Friday, Nov. 9, 2018 at 2:00 pm, with Pastor Danny Brown officiating. A private family gathering will also be held Saturday, Nov. 10, 2018. Please contact grandson Travon Curry for more information. Billings Funeral Home & Cremation Services of Elkhart is assisting the family with arrangements. Joanne was an industrial seamstress for over 30 years for Seam Tech (now Lippert Components). She was also a 35 year member of Pilgrim Rest Church and had served on the Missionary Board there. She was considered a God-fearing and loving wife, mother and Christian lady who shared the values of love, faith and righteousness among her family and friends. She enjoyed cooking, sewing, writing poetry and entertaining on the holidays.